European Roulette Gold is not too different from the conventional and much-loved casino roulette wheels. There is no shortage of ways to place bets. In fact in the digital version of the roulette game there are 37 betting options with a 36:1 payout. European Roulette Gold has a wide betting range; it begins with a minimum bet of £0.25 and stretches out to £500 for its maximum bet. There are also options to ‘Square’ and ‘Split’ your bets to further increase your winnings. European Roulette Gold has 37 options for betting in total, and a potential for increased returns – 36:1 payout. There are also various betting options to multiply your winnings. When you have placed the chips on the board by selecting a combination of numbers, the online game begins. The wheel will spin bringing the little ball along with it. Once the wheel is stationary, the ball will land in its spot – bringing the game to an end. This online casino game is very easy to play especially if one strategises the bets they place for maximum returns. Below is an outline of the betting terms and options, along with their respective explanations. Inside Bet: Placing a bet on a single number, applicable to bets for a standard roulette layout. Outside Bet: Placing a bet on a prediction (not a number), applicable to bets for a standard roulette layout. Dozen Bet: This bet covers a dozen numbers consecutively. So the bets will be placed in groups of 12: the first 12, the second 24, the third 36, etc. 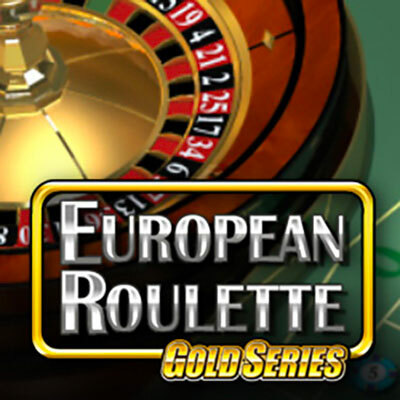 European Roulette Gold allows you to play this evergreen casino game in your own comfort. There is no shortage of bets to place and the wide betting range (£0.25 to £500) makes this game accessible to everyone. The animation is also rather life-like further adding to the entire roulette experience. European Roulette Gold is a great alternative to the physical roulette wheel and casino experience.